If you don’t submit to Mohammedan supremacy Â you must be a terrorist. Bomb a Jewish Kindergarten and you are a hero for these genocidal zombies. 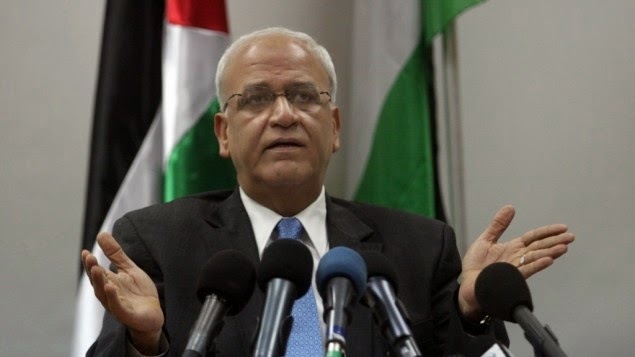 A couple of days ago Saeb Erekat made some headlines in Israeli media byÂ declaringÂ that ““Hamas is not and will never be a terrorist organization to us.”He has now added to that theme, by saying that not only is Hamas not a terror group, but Israel is the real terrorist entity. No doubt the Quartet just nodded their collective heads, thinking that Erekat has the right to his own narrative where terror is peace, right is wrong and black is white.